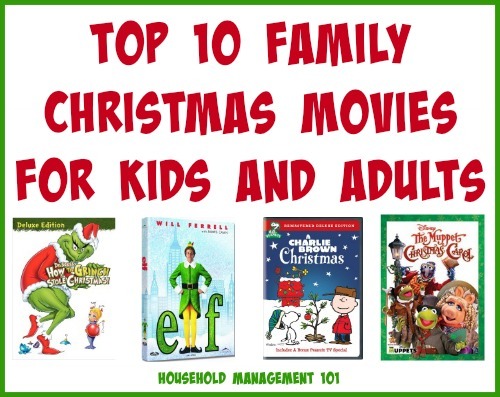 Here's my top 10 family Christmas movies for kids and adults list, with suggestions of the best films to watch each holiday season together. This list is, of course, rather subjective as all of "The Best" types of lists are. So while I'll share my family's favorites below I'd love to hear yours as well in the comments. Further, to the extent I think there is something questionable or you might deem as inappropriate for your kids to watch in a movie, I've tried to list it below. 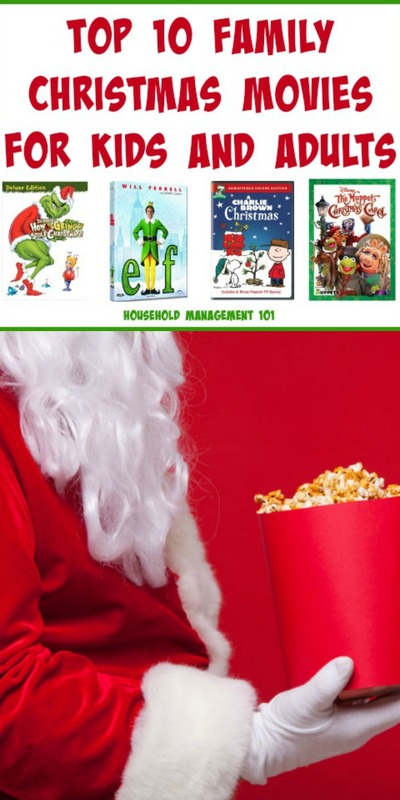 However, you are the final arbiter of what your kids should and should not watch, and at what age, so if you feel unsure you may want to screen these movies without kids first to make sure you feel comfortable with them watching them. Further, some parents are sensitive to whether a movie questions the belief in Santa Claus or not. 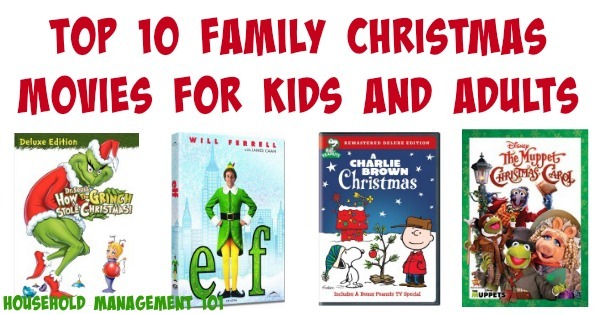 Personally, this isn't a big concern for me, but if it is for you I've tried to list any possible concern you might have with various movies for the youngest members of the family who still enjoy Santa Claus's annual visit. And finally, a note about how these are ordered. All of these are what I consider family movies. However, some are more appropriate for young kids, while for others I'd wait until your kids are a bit older to watch them the first time. So, instead of listing them in order by favorite I've roughly listed them in the order I think you might want to introduce them to your kids, from youngest to older. Although I just said I wasn't going to list these movies in order of my favorite first, well, I just did, at least for the first one. The made for TV cartoon version of How The Grinch Stole Christmas is my all time favorite Christmas movie. 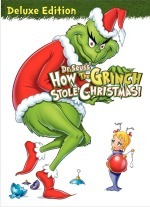 Who wouldn't love Cindy Lou Who, and the Grinchy Grinch who steals her Christmas tree right from under her nose. It's a great story about how presents and things aren't as important as family and friends, which is a great message in today's commercial world. 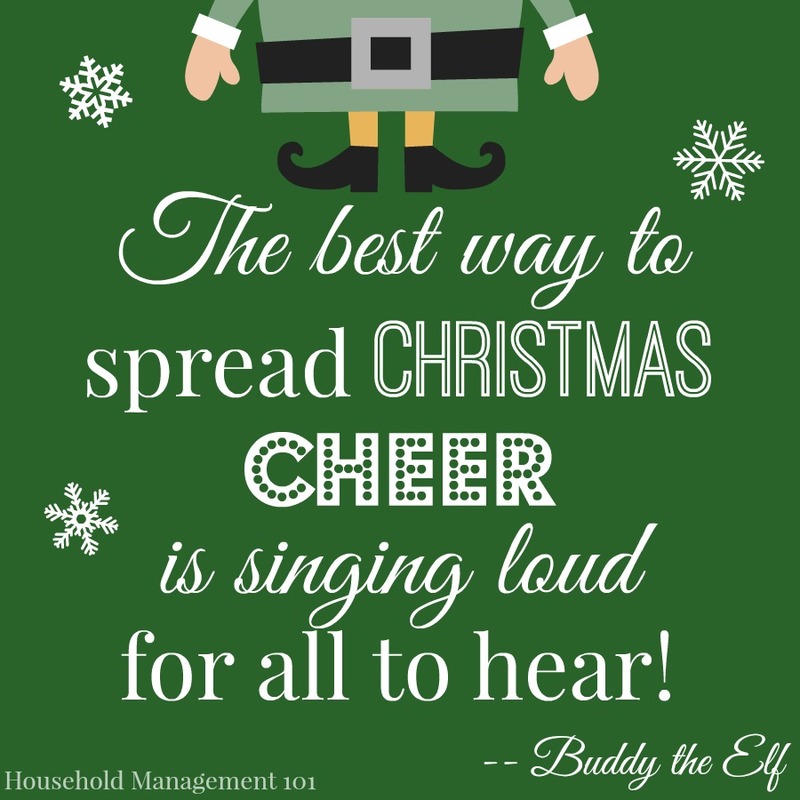 Plus the songs are memorable, especially, "You're A Mean One Mr. Grinch." It's kind of an ear worm though, but worth it once a year! I think it is appropriate for kids of all ages, and now I own the DVD, but before I did let me tell you I watched the TV schedules like a hawk each year to make sure the kids and I didn't miss this very short movie. It's made to fit a half hour block of TV, so when you watch it is less than thirty minutes long with breaks in the action to show commercials. We make an event out of watching this one each year by also reading the story of the same name by Dr. Seuess and sometimes, I confess, we just watch it twice to make it last longer! Taylor's note: What about the much longer, movie-length live action version of this story starring Jim Carrey? I'd love to hear people's opinions in the comments, but I thought it was a stinker. I don't personally recommend it. 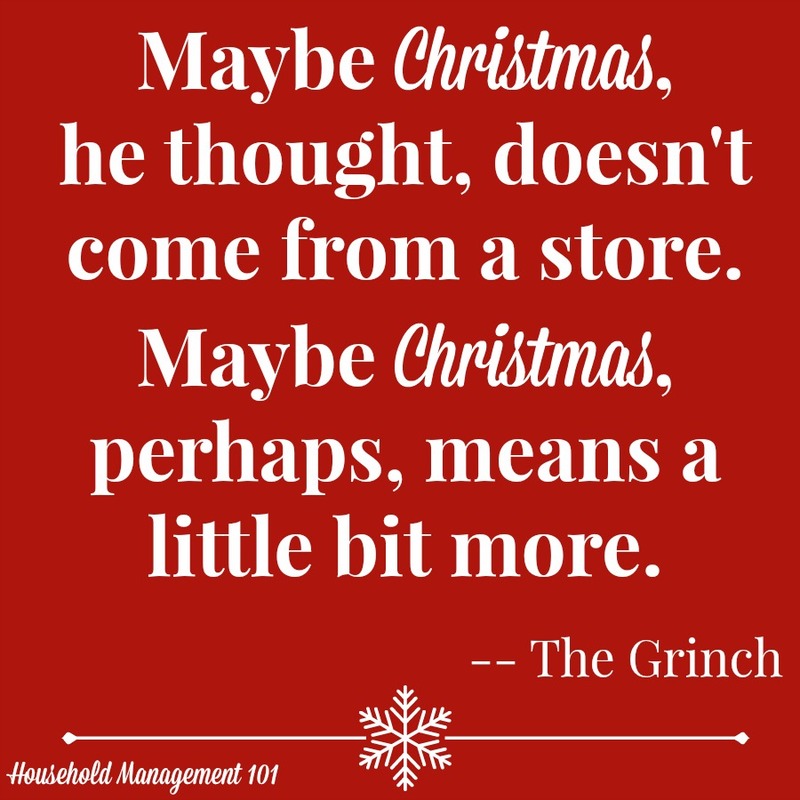 It was too drawn out and the back story of the Grinch was both unneeded and just filler, in my opinion. Plus the live action Grinch I found to be a bit scary for young kids. Again, I think this is a movie for all ages, and I enjoy watching it now just as much as I did when I was a kid, and my kids love it too. 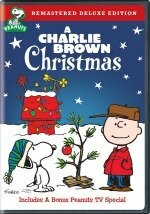 In this story Charlie Brown is trying to direct the school's Christmas play, and also tries to decorate one of the saddest little Christmas trees you can imagine. During the process he and the Peanuts Gang think about the religious meaning of Christmas, the birth of Jesus Christ, instead of focusing only on the secularization of the season. There is clearly a religious tone to this short movie, but I find it a classic. I especially enjoy the music, which includes jazz, an unusual choice for a children's show. My family owns this DVD we enjoy it so much. Who doesn't love a talking Snow Man with the voice of Burl Ives? I mean, right there you know Rudolph The Red-Nose Reindeer will be a classic. 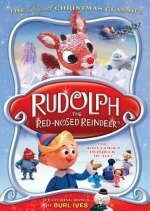 The characters are very memorable, including Rudolph of course, but my personal favorites include the aforementioned snow man narrator, and also Hermey, the elf who dreams of being a dentist, and of course the Abominable Snow Monster. This is my all-time favorite stop-animation film, and it has really stood the test of time. I wondered, the first time I showed it to my kids, if they would actually like the slow paced action, but they did and we watch it every single year. The story also has a lot going for it in regard to teaching about empathy, and allowing everyone to just be themselves. It's OK Rudolph has a red nose, it actually comes in really handy. Same for Hermey's dentistry obsession and even the toys on the Island of Misfit Toys are worthy of some child's love! This is yet another one we own on DVD. No list of the best Christmas movies would be complete without some version of Charles Dickens's classic story, A Christmas Carol. 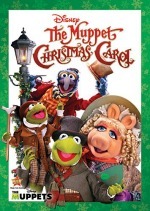 There are many good versions, but this one from The Muppets is my personal favorite (followed closely by Disney's animated A Christmas Carol introducing Scrooge McDuck). Other than the Muppets filling in for the characters the story stays pretty true to Dickens's original, and Robin is totally adorable as Tiny Tim. While the kids and I really enjoy this movie I have it a bit lower on the list because I think your kids need to be a bit older than the three I listed above it. The reason being that some of the ghosts, especially the Ghost of Christmas Yet To Come can seem rather scary, although a good snuggle and discussion will probably be enough to calm your child if they get too scared (or that was my experience). This movie expands on the beloved childrens books and has instantly become a classic. My kids enjoy watching it each year, although I'm not quite as enamored with it as them. Honestly, I think it depends what you yourself grew up watching, to a certain extent, if you're ranking these movies. I can see as I write this top 10 list that I'm influenced by what I watched as a child, and let me tell you, this is a movie just about every child sees. They almost always show it at my kids' school each year, since it's based on a book. A warning, the movie contains some parts that may be too intense for the youngest of viewers. The train is much more like a roller-coaster with high speeds and there are a few figures that can come across as being scary. In addition, the movie does question the existence of Santa Claus, yet is ultimately about having faith and believing in the season. As soon as I watched Elf for the first time I just felt it would become a Christmas classic, and it has. I mean, the sight of Buddy (played by Will Ferrel) sitting on Bob Newhart's lap, as he's dressed like an elf, is just too hilarious not to become a must-see year after year. 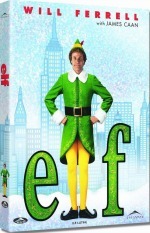 The story is about Buddy the Elf who finds out he's not actually one of Santa's elves, but a human, and his search for his biological father in New York City. Buddy is a refreshingly naive and funny character who is thrust into a cynical world that has lost the Christmas spirit. The movie is really humourous, but it touches on some themes which make it better for slightly older kids, I'd say around eight or up. Warnings include that the film questions the belief in Santa in the beginning (though it is restored later on in the movie) and has minor swearing, plus the gifting of lingerie which some may find inapproproate. This movie is definitely a classic, and I only list it so low on the list since I think your kids should be a bit older to watch it. To me this isn't because of anything I would deem inappropriate, but the pacing can be a bit slower and more nuanced, as an older film. 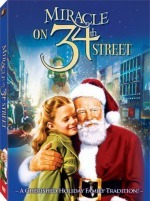 In addition, if your children believe that they are seeing the real Santa at the mall then this may not be the film for you yet. That's because the story takes place between Thanksgiving Day and Christmas Day in New York City, and is all about a department store Santa Claus, named Kris Kringle, who claims to be the real Santa. Home Alone is a Christmas movie, in that it takes place around Christmas time. I honestly hesitated to put this movie on the list, because when I watch it as an adult I realize how violent it really is, and rather disturbing because the child, Kevin, is left alone, and also because burglars try to break into his house. Really, what were the writers and producers of Home Alone thinking when they made this movie? Nonetheless, when it first came out I really enjoyed it, and getting past all those parts I still do. In addition, it's still really funny and my kids absolutely love it. That's why it made the cut. This holiday movie is better for the 10 and up crowd due to the disrespect shown between parents and children at the beginning of the movie, crude language and the fact that a child was forgotten at home by his parents and has to ward off two burglars by himself. While the violence towards the burglars is slap-stick and fantastical, older children will be able to realize this while younger children may not understand what is happening or that it is all fictional. 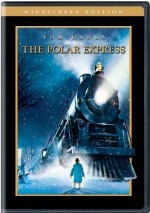 Here's yet another classic film, almost requisite on any list of the top 10 Christmas movies, but that I've listed lower on the list because I don't think it is good for younger kids. The main reason is that it is in black and white, a real oddity these days for many kids, and also not very fast paced. 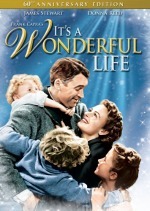 I think we're all pretty familiar with the story of George Bailey, who decides to end his life and so he's visited by his guardian angel, Clarence, who shows him what a positive impact he's had on his community. While the story is ultimately uplifting, and thus a wonderful family film, for the reasons already stated, and because of the theme of suicide in the storyline, save this classic for when the kids are a bit older to appreciate it more. 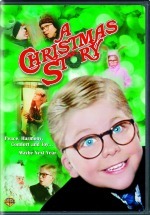 No list would be complete without A Christmas Story included. If you've turned on the TV during the holidays you've seen at least parts of this movie, where Ralphie Parker wants a Red-Ryder BB gun for Christmas. The movie is funny and quirky, and there are many memorable scenes, including who could forget that leg lamp? I will warn you that there are parts of the movie version that are typically edited from TV, so be prepared if you watch that version. Further, this isn't a little kid kind of movie. First, they won't understand a lot of it, or its humor at such a young age. Plus, there is some questionable language and sexual innuendos (as in the well-known leg lamp scene) that may be inappropriate for younger kids. On the other hand, once your kids are old enough to enjoy the storyline, this can be a really fun Christmas tradition to watch as a family, together. OK, that was my family's top 10 family Christmas movies. Now it's your turn. Tell me your favorites below in the comments. Here's some of my favorite quotes from some of these movies, just for fun! Tell me your favorite quotes below in the comments as well!